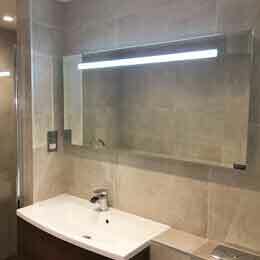 We have a wide range of Curved Chrome Towel Rails varying in height and width to suit a variety or roomsets and installations. 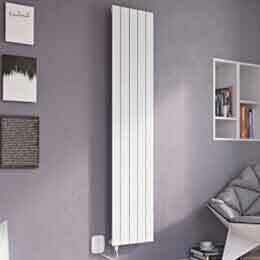 With their 22mm horizontal curved tubes they have a larger surface area and improved heat outputs. 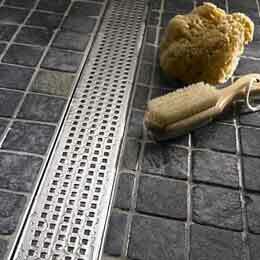 The bar patterns have been designed to balance performance and functionality so their is no need to look anywhere else. 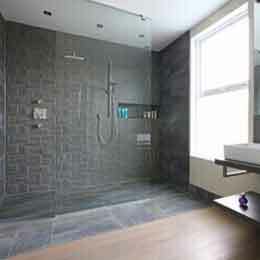 The chrome plating process is done in house to an extremely high specification with over 50 microns of chrome applied. This 400mm (w) x 1400mm (h) curved towel rail has a high quality chrome plated finish with 22mm curved bars and can be installed on a central heating system, fitted as a stand alone electric unit or as dual fuel towel rail for maximum efficiency. 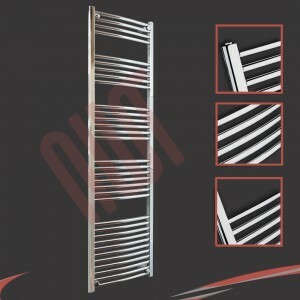 This 500mm (w) x 800mm (h) curved towel rail has a high quality chrome plated finish with 22mm curved bars and can be installed on a central heating system, fitted as a stand alone electric unit or as dual fuel towel rail for maximum efficiency. 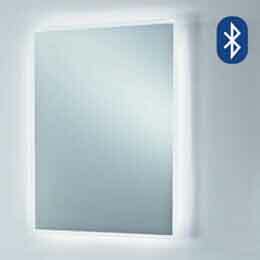 This 500mm (w) x 1000mm (h) curved towel rail has a high quality chrome plated finish with 22mm curved bars and can be installed on a central heating system, fitted as a stand alone electric unit or as dual fuel towel rail for maximum efficiency. 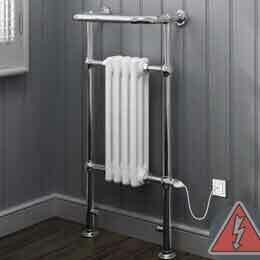 This 500mm (w) x 1200mm (h) towel rail has a high quality chrome plated finish with 22mm straight bars and can be installed on a central heating system, fitted as a stand alone electric unit or as dual fuel towel rail for maximum efficiency. 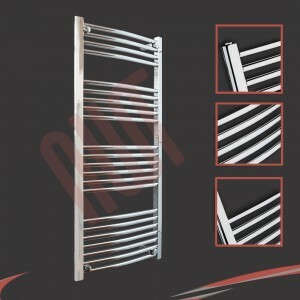 This 500mm (w) x 1400mm (h) curved towel rail has a high quality chrome plated finish with 22mm curved bars and can be installed on a central heating system, fitted as a stand alone electric unit or as dual fuel towel rail for maximum efficiency. This 500mm (w) x 1600mm (h) curved towel rail has a high quality chrome plated finish with 22mm curved bars and can be installed on a central heating system, fitted as a stand alone electric unit or as dual fuel towel rail for maximum efficiency. 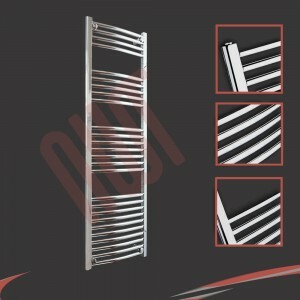 This 500mm (w) x 1800mm (h) curved towel rail has a high quality chrome plated finish with 22mm curved bars and can be installed on a central heating system, fitted as a stand alone electric unit or as dual fuel towel rail for maximum efficiency. This 600mm (w) x 800mm (h) curved towel rail has a high quality chrome plated finish with 22mm curved bars and can be installed on a central heating system, fitted as a stand alone electric unit or as dual fuel towel rail for maximum efficiency. 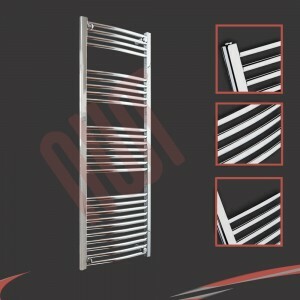 This 600mm (w) x 1200mm (h) curved towel rail has a high quality chrome plated finish with 22mm curved bars and can be installed on a central heating system, fitted as a stand alone electric unit or as dual fuel towel rail for maximum efficiency. 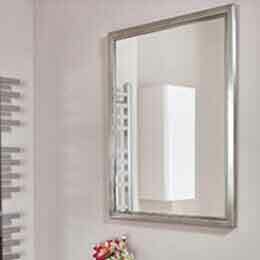 This 600mm (w) x 1400mm (h) curved towel rail has a high quality chrome plated finish with 22mm curved bars and can be installed on a central heating system, fitted as a stand alone electric unit or as dual fuel towel rail for maximum efficiency. 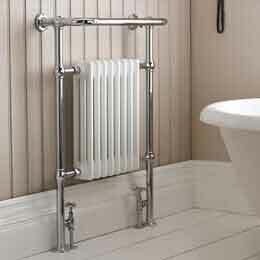 This 600mm (w) x 1600mm (h) curved towel rail has a high quality chrome plated finish with 22mm curved bars and can be installed on a central heating system, fitted as a stand alone electric unit or as dual fuel towel rail for maximum efficiency. 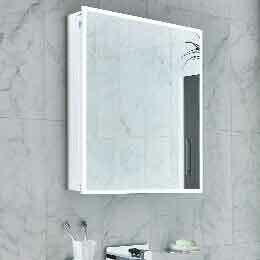 This 600mm (w) x 1800mm (h) curved towel rail has a high quality chrome plated finish with 22mm curved bars and can be installed on a central heating system, fitted as a stand alone electric unit or as dual fuel towel rail for maximum efficiency.